The most capable mobility scooter ever offered for cruise ship rental. Also perfect for Theme Parks and other attractions and malls. You get massive power, the tightest turning radius of any scooter of this size at an amazing 33 inches (83.8 cm). Extended life from the best quality Gel Cell batteries guaranteed to be under 18 months old. Excellent leg room. High output 8 amp on board charger with a convenient retractable power cord. LED touch control panel. Automatically operating LED headlamp lights up when you move forward. Infinitely adjustable handle maximizing your individual steering and ride comfort. Incredible 360-degree seat rotation (another industry first). Adjustable and removable flip-up arm rests (optional by request). If you want the best most feature driven reliable custom cruise ship scooter available then look no further. 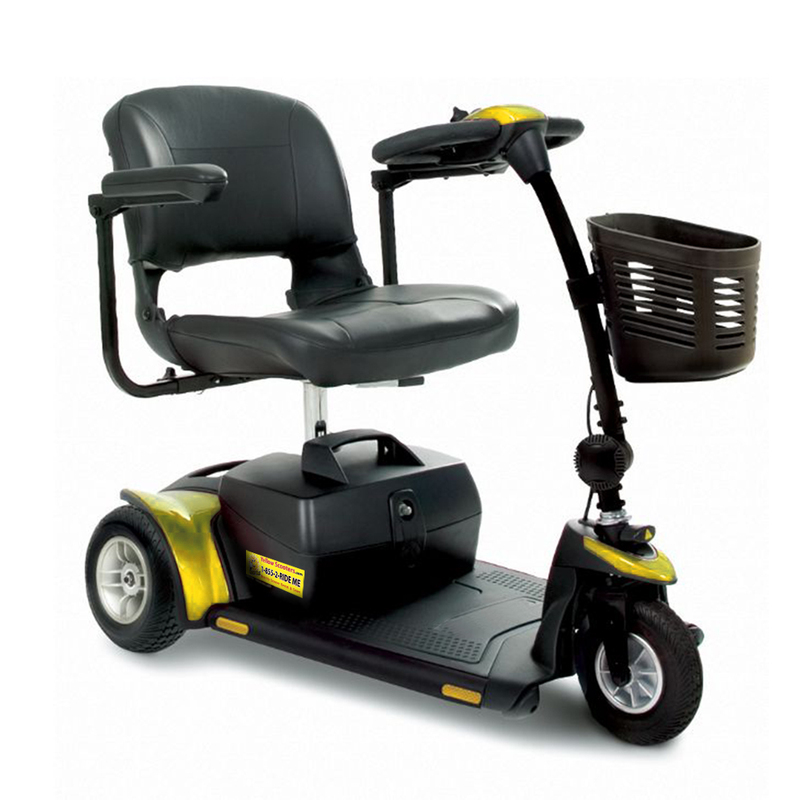 The Cruise 450 HD is the best you can get for your mobility needs, you will love this scooter!! Width of only 20.5 in (52.1 cm) (without optional arm rests) which is a perfect fit for most shipboard doorways. 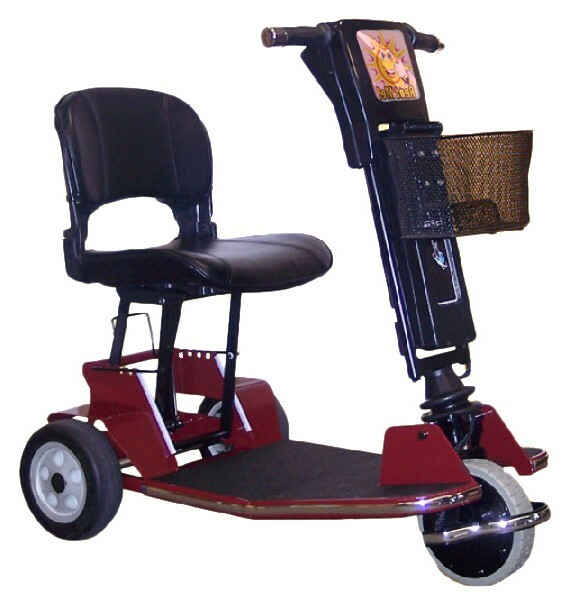 We also sell these special order scooters new, ask us about the price and our free shipping options. MADE IN THE USA. This cruise ship adapted scooter is able to maneuver into the tightest areas on board. Also awesome for theme parks, malls and other attractions. It's compact yet powerful design and adaptions make it the perfect solution for your shipboard mobility needs. 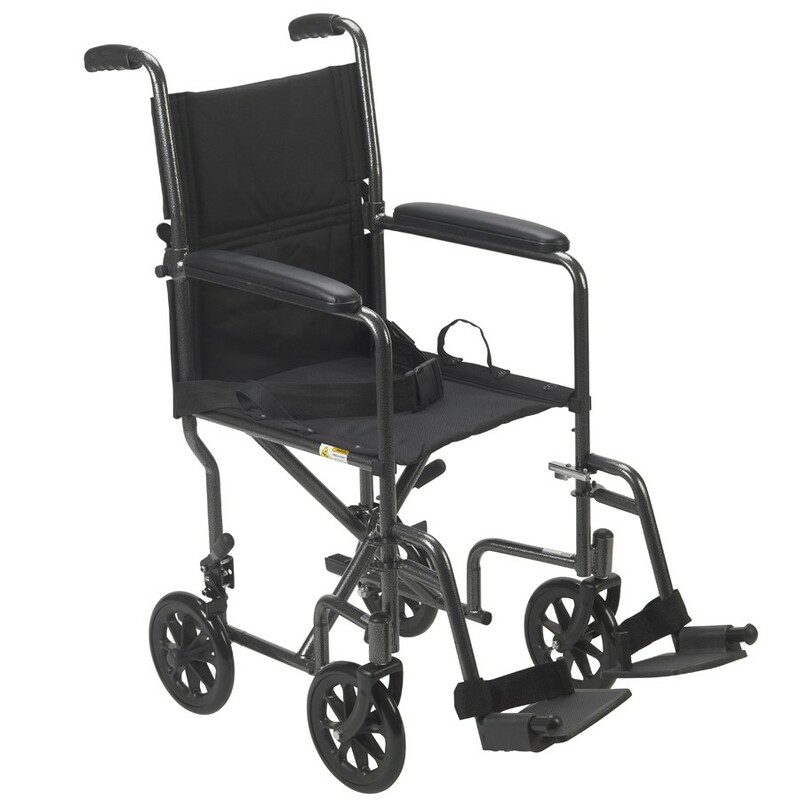 The Cruise 300 weighs in at under 106lbs, travels up to 4mph and able to transport a person weighing up to **300lbs. Adjustable flip up arm rests (optional by request) It has a very tight turning radius making it your go to option for a compact transportable cruise ship scooter. No more struggling with those embarrassing and stressful 3 or 4 point turns in hallways, elevators, restaurant's and cabins while everybody waits for you. Just swing it around and your off. Best quality upgraded 22AH batteries guaranteed to be no older than 12 months max. **It is recommended if the rider is over 200lb that you may consider upgrading to our Cruise 450 model for additional comfort and to be sure your batteries last the whole day. Batteries can be topped up during the day and charged off or on the scooter Please fully charge every night for up to 7 hours. FREE DELIVERY TO YOUR SHIP. Our CruiseMate folding scooter is your best option for restricted cabin space and for the narrowest cruise ship cabin doorways. At just 22.5 inches if it don't fit through the door just fold it and your good to go. This scooter a must-have for the active cruiser who is always on the go! The most compact model in the Yellow Scooters line, the front drive CruiseMate has a tight turning radius of just 31 inches for maneuvering in small spaces onboard ship and weighs a very manageable 55lbs without the batteries and front basket. And only 70lbs fully assembled. The CruiseMate folds easily with a simple press of a foot pedal for storage in cabins, car trunks or compartments. This scooter has a max weight limit of **250lbs weight limit and you can add the option of an additional battery pack and charger. 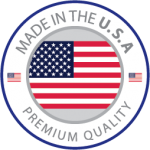 We use the best quality upgraded Gel Cell batteries guaranteed to be no older than 12 months. These included features are Cruise ship mobility rental industry firsts and only available from Yellow Scooters.com. **It is recommended if the rider is over 170lb that you rent the optional additional battery pack to double the battery range during your cruise. Batteries can be topped up during the day and charged off or on the scooter Please fully charge every night for up to 7 hours. 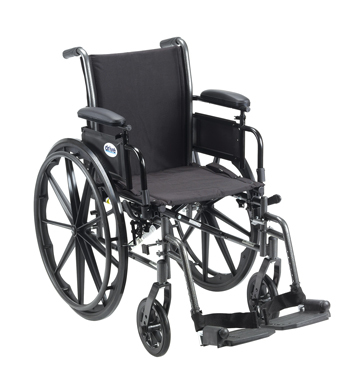 Lightweight carbon steel framed folding self propelled wheelchair 24” self propel rear wheels with hand rim. This lightweight chair features solid tires, height adjustable removable foot rest plates, wipe clean padded upholstery. Folds and fits into most car trunks. Removable flip back arms allow for easy transfer. Weighs just 36lbs and carries up to 300lb. Use not recommended for boarding and disembarking ship if the gangway is steeper than level. The Breaks on this wheelchair are for parking only, do not use for stopping or slowing down. Lightweight Steel Transport Chair with fold-able back making it convenient and easy to store and transport. comfortable and easy to clean black nylon upholstery seat and back. 8" caster wheels in front and rear provides a smooth ride over most surfaces. Padded armrests, rear wheel locks, swing away footrest and seat belt all combine to make this transport chair convenient, durable, easy to transport and safe. Use not recommended for boarding and disembarking ship if the gangway is steeper than level. The Breaks on this wheelchair are for parking only, do not use for stopping or slowing down. 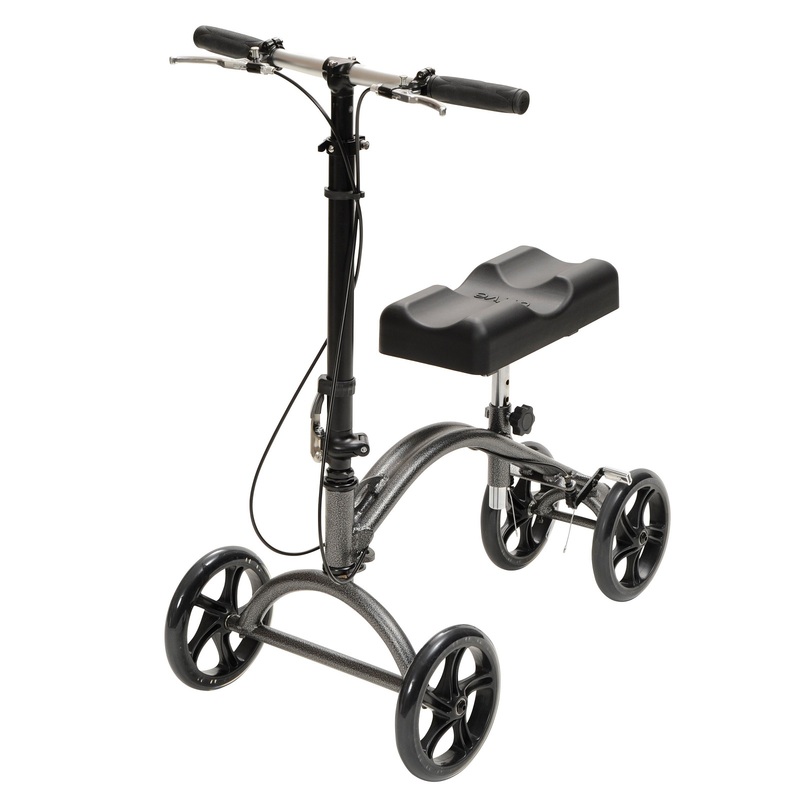 For those experiencing pain or discomfort following foot surgery, breaks, sprains or ulcers, our Knee Walker is a simple and comfortable crutch alternative. 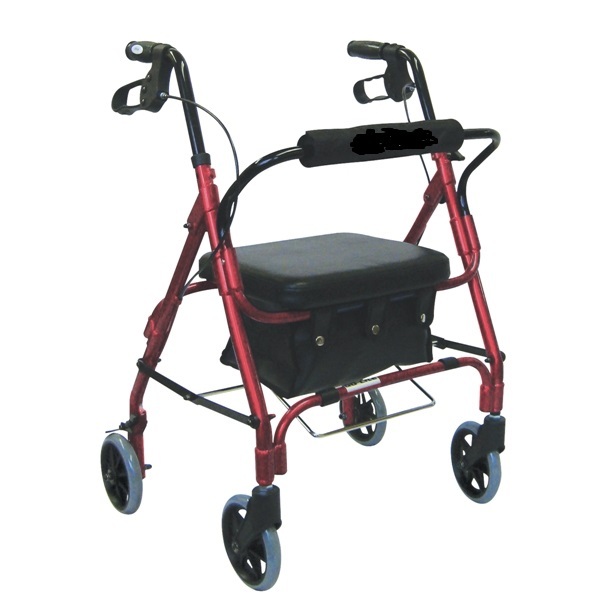 Our Steerable Knee Walker features a fully maneuverable pair of front wheels for superior ease of use. Plus thick comfort leg pad provides superior user comfort. Tool-free height and left/right leg adjustments lets you tailor our Knee Walker to your specific needs. 8” wheels make it ideal for indoor and outdoor use and the deluxe braking system helps maximize safety. Our comfort Pad Steerable Knee Walker provides quicker mobility and enhanced safety and stability over crutches allowing you with better mobility. 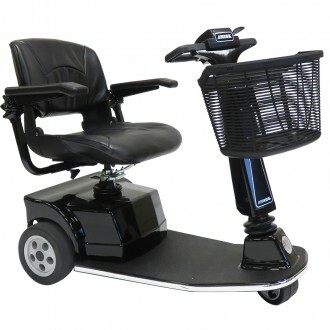 This convenient rollator is ideal when you don't need a scooter or wheel chair but just want a little help getting around or just need some where to sit and take a break. It features easy to operate ergonomic hand brakes that also locks the rear wheels for security when you need to sit for a while. It is very easy to fold up for storage and transport. Our rollator offers great maneuverability and stability and is height adjustable to accommodate up to 6ft 3in tall persons. It also has a custom fit storage basket and a flip-up padded seat with zipper compartment for storage of valuables. Fits in the trunk of all cars. Dimension Inside Hand Grips: 18"
Seat to floor height 23.1/4"